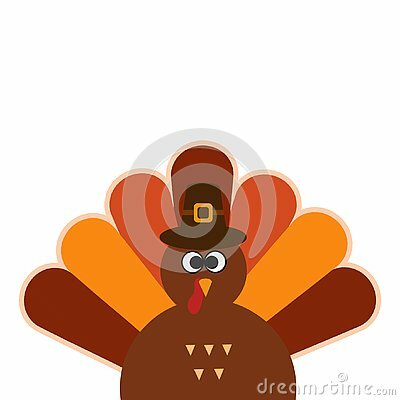 Colorful cartoon of turkey bird for Happy Thanksgiving celebration. Thanksgiving card. Thanksgiving turkey on white background. Maple leaves.